I can’t add anything that hasn’t already been said about The Rabbits elsewhere. Except, perhaps, for a closer look at the story structure. John Marsden has done a couple of interesting things with the traditional story structure, especially in the final two steps. Shaun Tan writes about his work on his own blog. 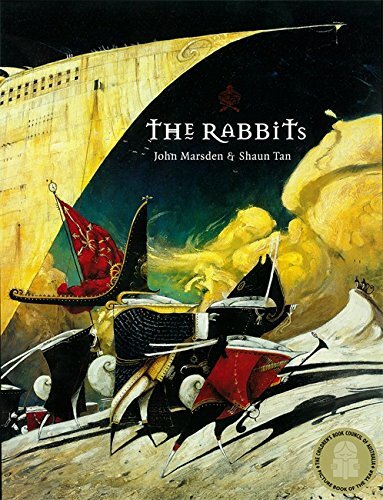 I highly … Continue reading "The Rabbits by John Marsden and Shaun Tan"